Roasted pumpkin seeds are a healthy and nutritious snack. They are filled with nutritional goodness and are very easy to do and are a great project to do with the kids, when pumpkins are in season. 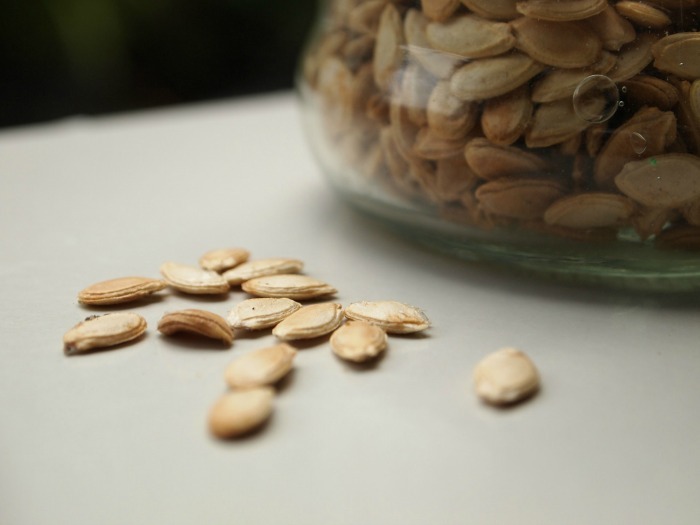 Roasted Pumpkin Seeds are Easy and a Fun Cooking Project to do. Don’t just throw those seeds away when you are done carving the pumpkin. Scoop them out, wash and clean them and roast them in the oven. Picky eaters will be eager to try them after the fun of carving the pumpkin and you’ll be giving them a very healthy snack. Once the seeds are dry, spreawd them in a single layer on an oiled baking sheet or on a silicone baking mat, and roast 30 minutes. Toss the seeds with olive oil, salt and your choice of spices (see below). Return to the oven and bake until crisp and golden, about 20 more minutes. The recipe that I have included uses paprika but many varieties are possible. Here are a few to try. If you like them sweet, use cinnamon sugar. For an Italian mix, add dried oregano and parmesan cheese. Pumpkin pie spice and sugar makes a great Thanksgiving treat. Granulated sugar, cinnamon, ginger, nutmeg and brown sugar will give you a caramely sweet treat. 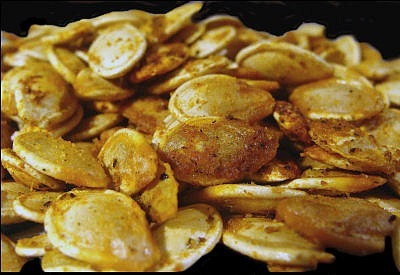 Roasted Pumpkin Seeds – Healthy cooking Recipe Roasted pumpkin seeds are a healthy and nutritious snack. They are filled with nutritional goodness and are very easy to do and are a great project to do with the kids, when pumpkins are in season. 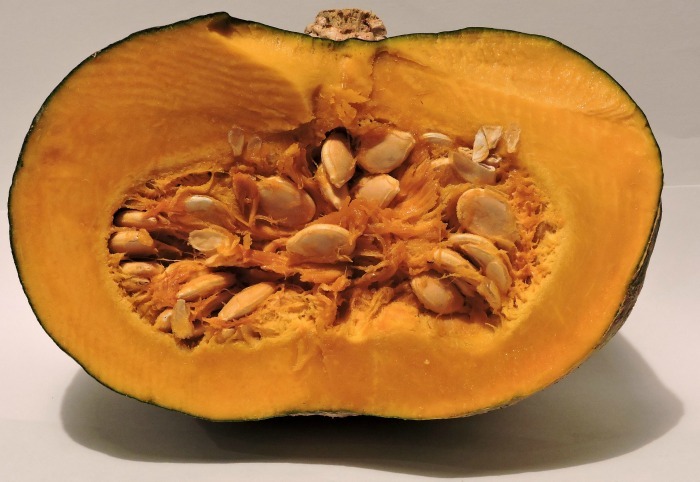 Using a spoon, scrape the pulp and seeds out of your pumpkin into a bowl. Rinse the seeds in a colander under cold water, then shake dry. Don't blot because the seeds will stick to paper towels. Dry the seeds by spreading them in a single layer on an oiled baking sheet and roast 30 minutes. Toss the seeds with olive oil, salt and your choice of spices. Return to the oven and bake until crisp and golden, about 20 more minutes.